Talons are a unique manifestation of power & cunning. Much like the claws on a bird of prey, playing cards are the chosen weapon for magicians "in the wild". Word to the wise In disguise as ink & paper, Talons cement their legacy by commanding an audience with all their glory. Printed with USPCC, these cards are created with smooth, crushed stock. Prey, beware! The cards demand attention. The matching tuck box is hot rod orange with a smooth gloss finish. Heroic control The back design shows an owl grappling with a bolt of lightning. Demonstrating that only experience can control power. 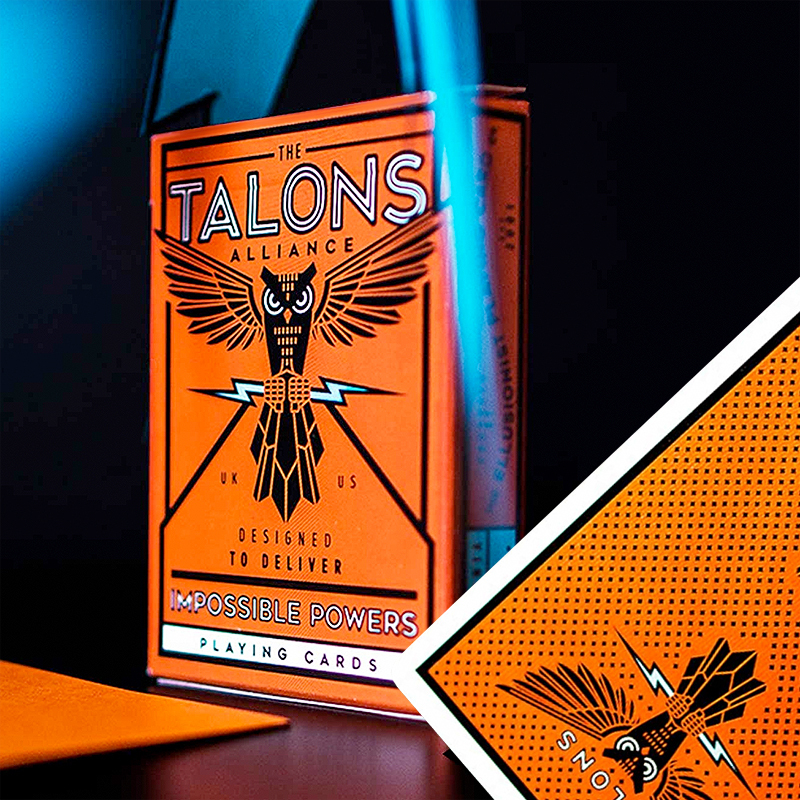 The killing blow The court cards carry electric blue lightning bolts across their bodies and are finished with Talons signature orange hue. Each pip is naturally colored, allowing for uninterrupted magic with your audience. Designed to deliver impossible powers. • The cards are poker size.